Vendor registration is now open! 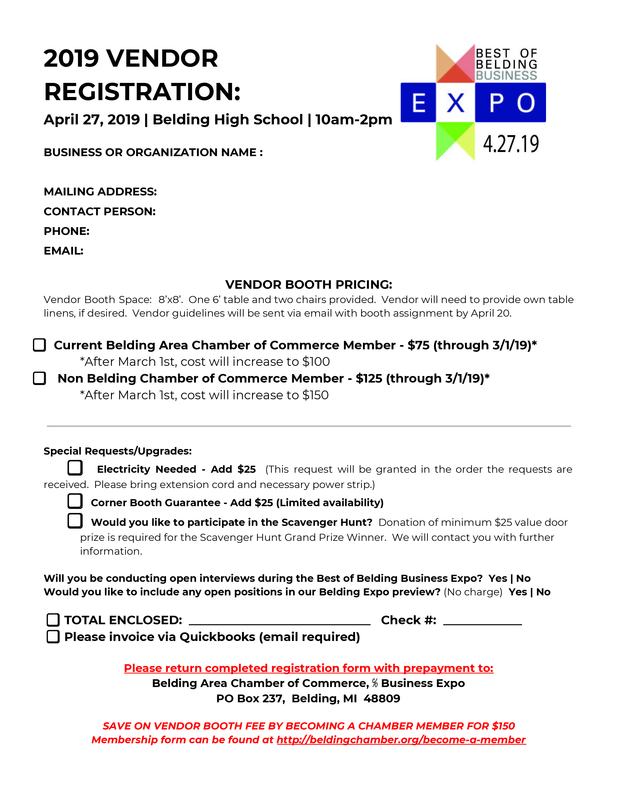 Belding Expo registration is open to all area businesses, organizations, educational and community groups and home based consultants. Admission is free to attend. For vendor details, contact the Belding Area Chamber of Commerce at beldingmichamber@gmail.com or at (616) 794-9890. Event will take place at Belding High School 10am-2pm.